I'm In A Coastal State Of Mind! 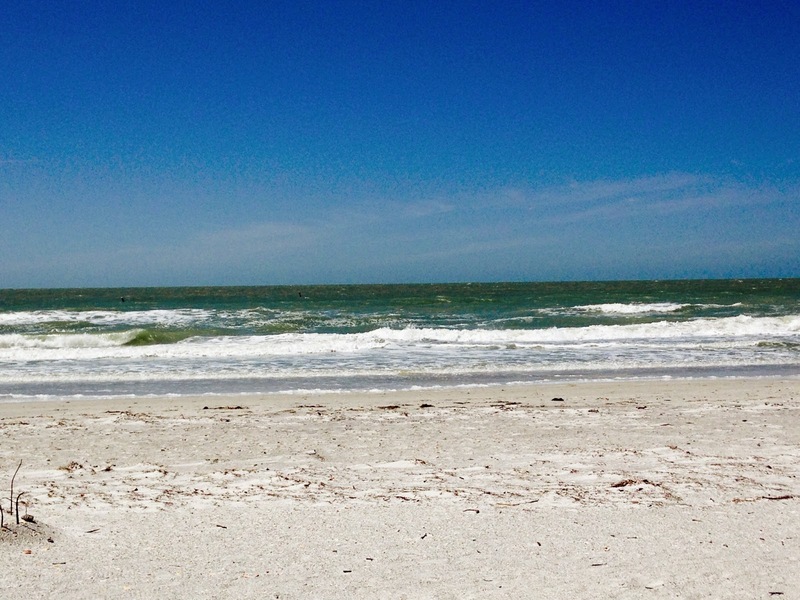 The Daily Nest: I'm In A Coastal State Of Mind! I'm In A Coastal State Of Mind! So this week we're staying over at the beach for some much needed R & R! Yesterday, our first day was raining, but today when we woke up it was clear and beautiful! I'm writing this looking at the beach and thinking how much I love the beach and it's giving me some coastal inspiration! I look out at all the colors that I see and there are whites, creams, blues, greens all blended in perfect harmony. So I thought I'd share some pictures of what I'm seeing in home decor. So even though you're not here with me you can share in the same feeling. 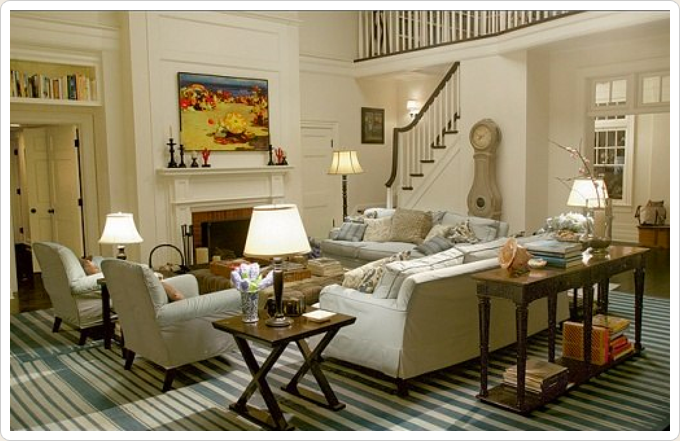 This is how I interpret the picture above in to home decor...blues that melt into green and touched by white and creams! Ahh!! 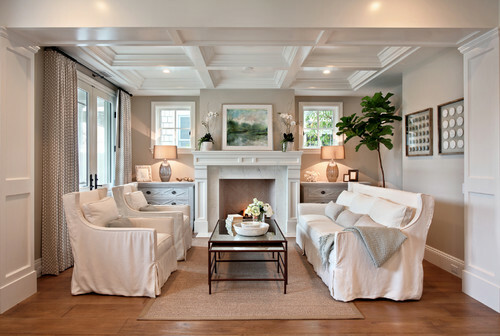 Beach Style Living Room by Costa Mesa Architects & Designers Brandon Architects, Inc. 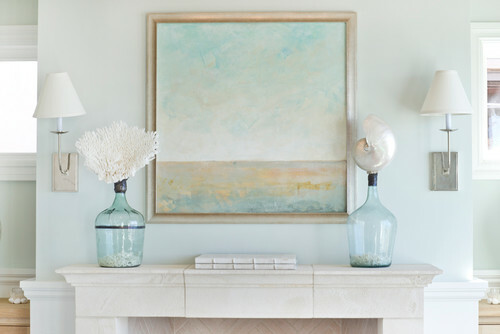 This shelf displaying white ginger jars and treasures from the beach is a beautiful sight in this foyer. 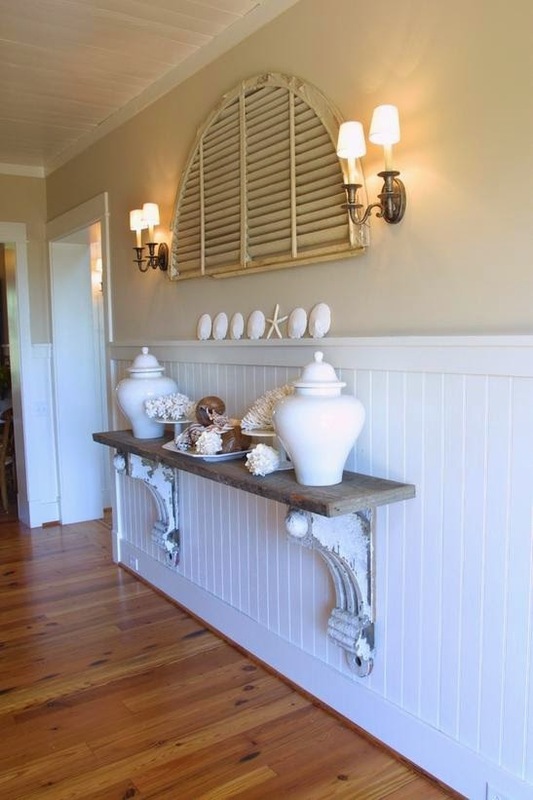 With the worn, chippy brackets that add to the casual, coastal feel. Also, how about that bead board? 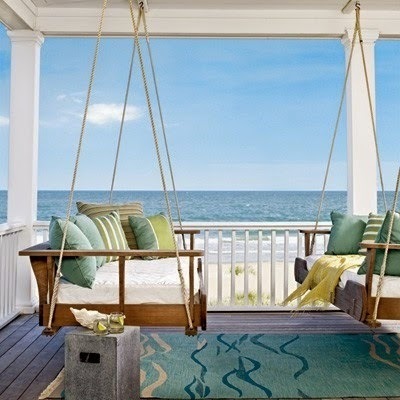 And then there is that quintessential beach house that I have been OBSESSED with for years...The "Somethings Gotta Give" movie house! These pictures don't even do it justice! It is my all time favorite movie house! And from what I understand I'm not alone in this obsession! 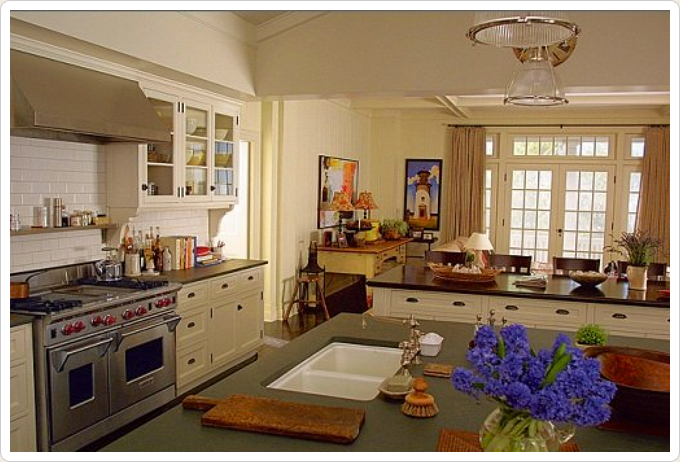 This is my dream kitchen without a doubt! There's a scene in the movie where Diane Keaton and Jack Nicholson are dining with 2 others and it's one of my favorite scenes. I'm not kidding I pause the movie, study the picture and rewind it like 3 times! For more coastal inspiration rent the movie and you'll see what I mean! Plus it's a pretty cute movie! 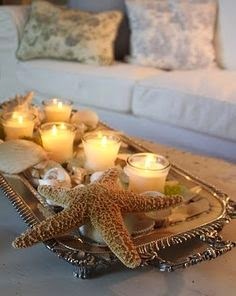 Also, follow me on my "Coastal" Pinterest board for more beachy inspiration! I feel myself frying, time to put on more sunscreen!! Hope your week is fabulous! !